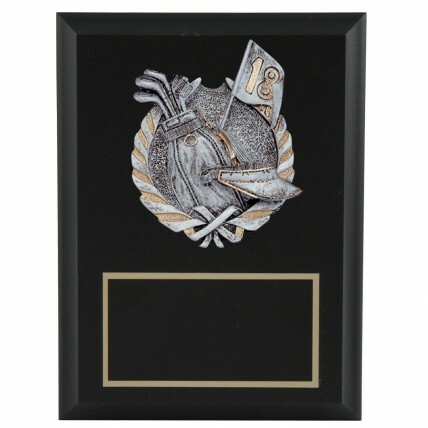 Award our Golf Wreath Award Plaques to your tournament champions! These plaques feature a raised resin relief of a bag of golf clubs, a visor and an 18th hole flag. Each black 6x8 golf plaque features a black brass engraving plate below for your custom inscription.